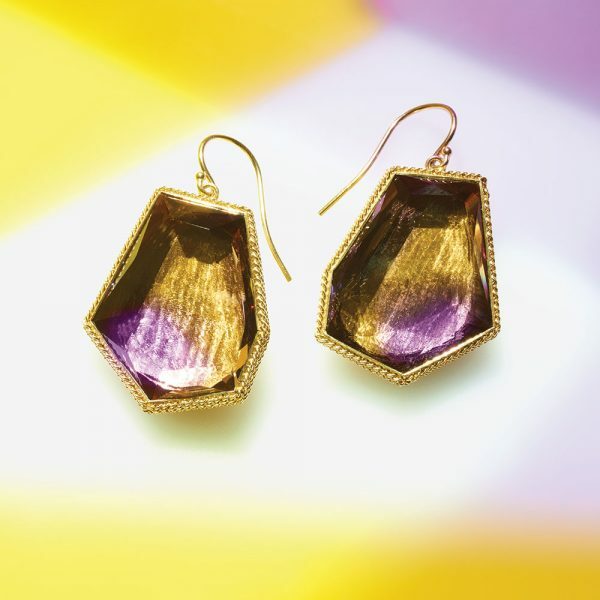 AMETHYST AND CITRINE MERGE IN A MULTICOLOR QUARTZ EXTRAVAGANZA. 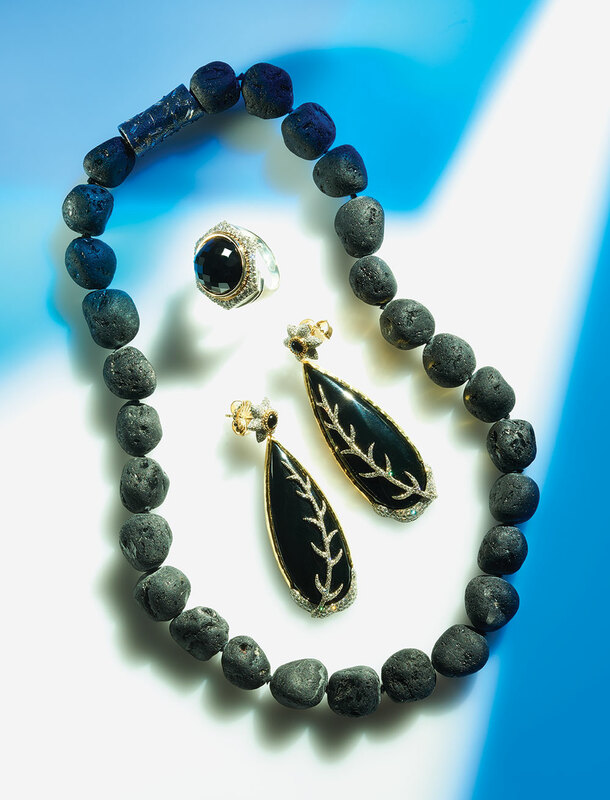 TRAVEL TO THE COAST OF BRAZIL WITH PRECIOUS PARAIBA. 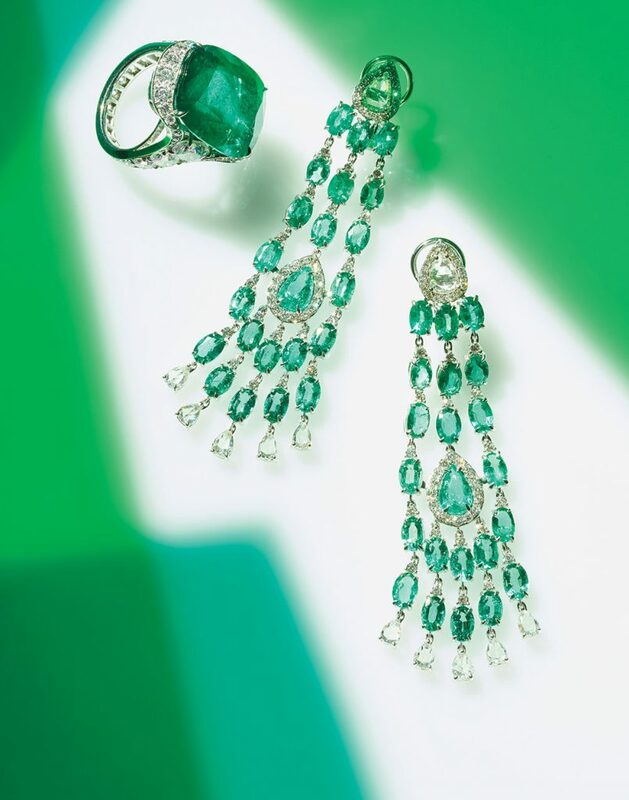 IT’S ALL ABOUT THE GREEN WITH THESE LUMINOUS EMERALD DESIGNS. 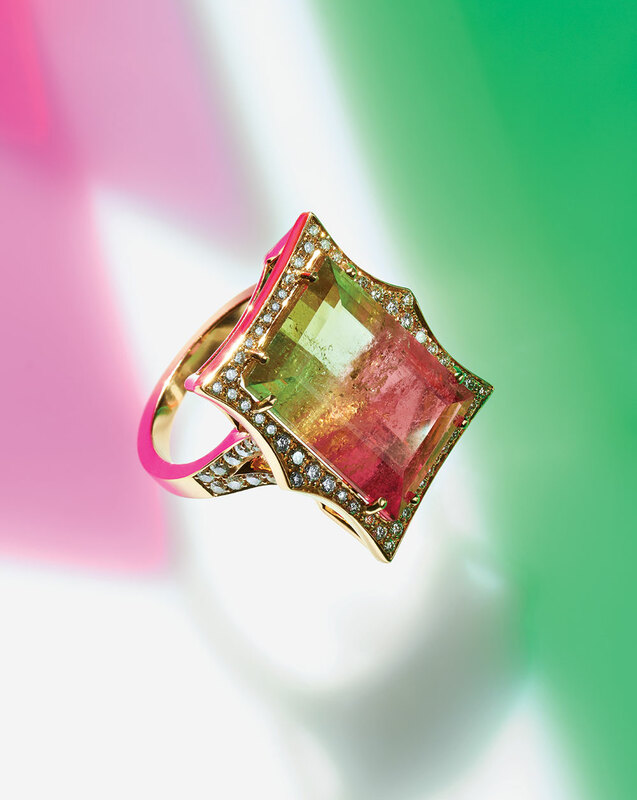 YOU’LL BE SEEING DOUBLE WITH THIS TRICKED–OUT TOURMALINE. 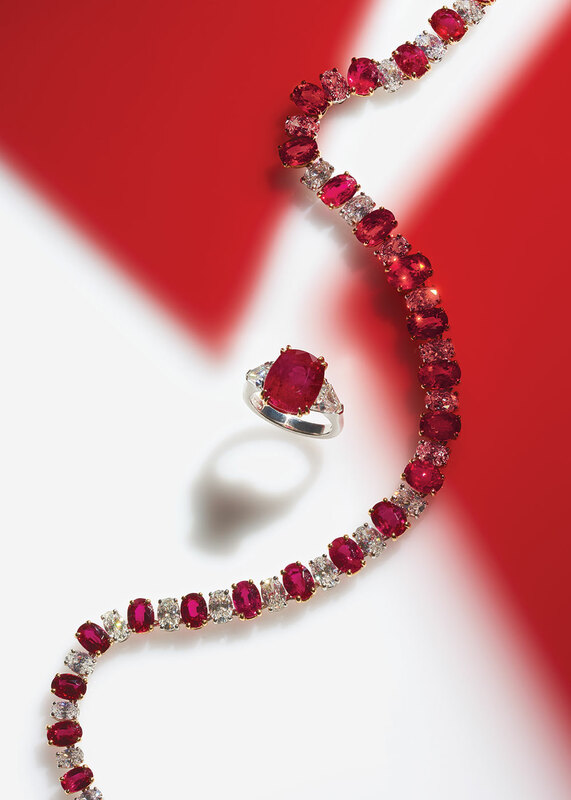 GET IN THE RED ZONE WITH THE ULTIMATE CRIMSON PRIZE: BURMESE RUBIES. DON’T BE AFRAID TO GO TO THE DARK SIDE.